Video has always been a popular method for companies to promote their products and services, as well as provide cost-effective training solutions for both customers and staff. The growth of the internet has significantly simplified distribution of video material to the target audience. Video is recognised as an essential part of any media-rich interactive site and is used to improve the user experience, ensuring visitors stay on the site longer. Video is also used extensively on social media sites such as Facebook, whilst the explosion of YouTube has allowed anyone with a video camera to broadcast. This proliferation of online video means that in order to stand out from the crowd, your business needs outstanding quality video. Media Inventions can help with some or all of the production process "from script to screen" and productions can be tailored to suit most budgets. Media Inventions also specialises in producing online training and tutorials using a voiceover combined with animated computer-screen recordings. Remember the ideas on this page are not exhaustive and just show some examples of our work. So pick up the phone or drop us an e-mail about your next project! It is said that prospective customers are 72% more likely to purchase after watching a video rather than reading a brochure. Imagine the power of a video integrated into your presentation illustrating the strengths of your company, or the quality and performance of your products. From a simple web based video advert (webvert) to a more comprehensive corporate video, Media Inventions have extensive experience in producing compelling video on time and on budget. 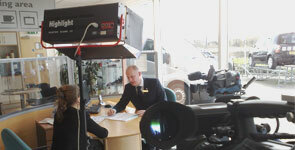 Product demonstrations on video can often provide the best way to show off your product or service. Video can often make a process that would be near impossible to describe look easy, making it more likely that your customers will have confidence in your product. You also can ensure the product is demonstrated correctly! These demonstration videos can be used at conferences and events, can be uploaded to YouTube, Facebook and other social media sites, or even distributed with your product. 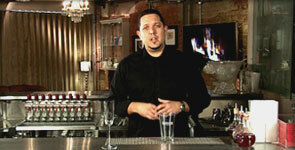 The example below is one of a series of videos shot for Beefeater Gin to show how to make classic cocktails using their product. The videos formed the basis of a podcast series. A simple video production can often be the most cost-effective solution to deliver high-quality, measurable training to a large number of geographically remote staff or customers. Whether the need is for a series of role-plays to improve customer service, more tradtional trainer-based sessions or a more comprehensive evaluated e-learning training programme, Media Inventions can deliver. Media Inventions has a unique blend of creative and IT skills that offers complete creative flexibility to produce live action video, screen recorder video, or a hybrid of both allowing you to offer the most comprehensive training solutions for your customers and staff. There are two ways we can help your conference. Video is an effective way to help a conference or event to come alive and bring topics nearer to the audience far better than words and still pictures. The other way we can help is by recording all or part of the event itself, and releasing it online or via DVD or Blu-Ray. This allows your conference to reach a much wider audience than those in the venue. 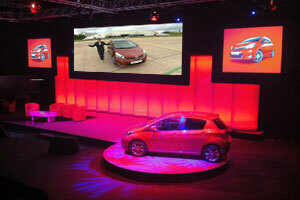 Product launch events require significant investment; Video is an excellent way to ensure that the event is remembered. 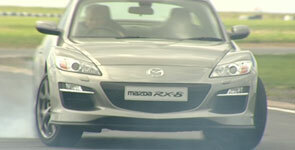 The finished result can be used online, on DVD or used at other events to show what happened at the launch. 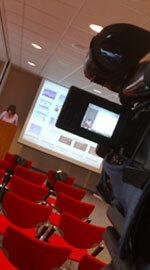 Video provides an ideal medium to communicate important messages to your employees. It allows everyone to get the same message - consistency. This is particularly important when there are legal or health and safety issues involved.